It is a circular band of muscle that surrounds the eye. It is generally a sphincter muscle that lies in the tissue of the eyelid and performs a host of ocular functions. 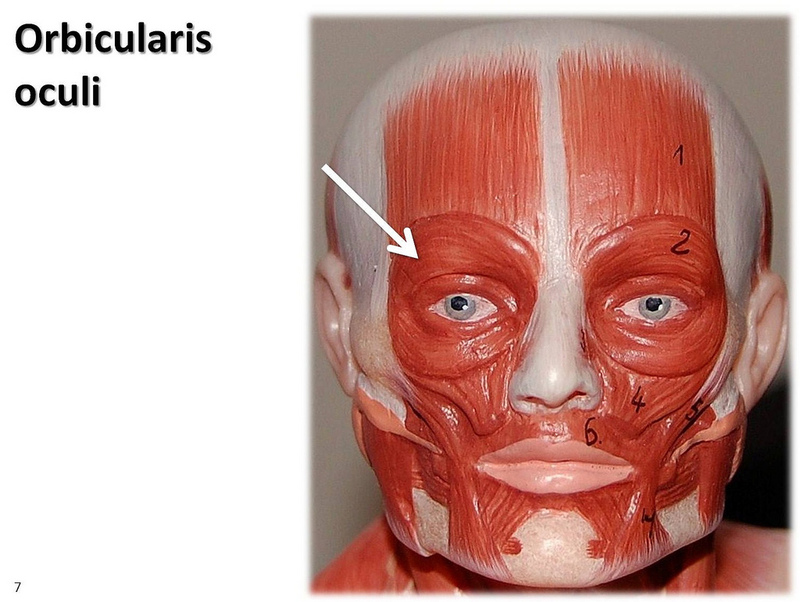 The facial muscle is located in the orbit of each eye. Orbital part: It forms circular fibers that wrap around the eyes and fuses with nearby muscles on all sides of the orbit, including the temple and cheek. It is usually reddish and thicker that forms an oval structure at the lateral palpebral commissure, the union of the upper and lower eyelids adjacent to the lateral angle. Palpebral part: The pale and thin muscle originates from the bifurcation of the medial palpebral ligament and crosses both eyelids to blend on the lateral side of the eye. Specifically, it inserts into the lateral palpebral raphe at the outer corner of the eye. Lacrimal part: It is a small, thin muscle, measuring 6 mm in breadth and 12 mm in length, present behind the medial palpebral ligament and lacrimal sac. After crossing the lacrimal sac, it divides into upper and lower slips and sends fibers to the tarsi of the superior and inferior eyelids that merge with the fibrous tissues on the lateral side of the eye. 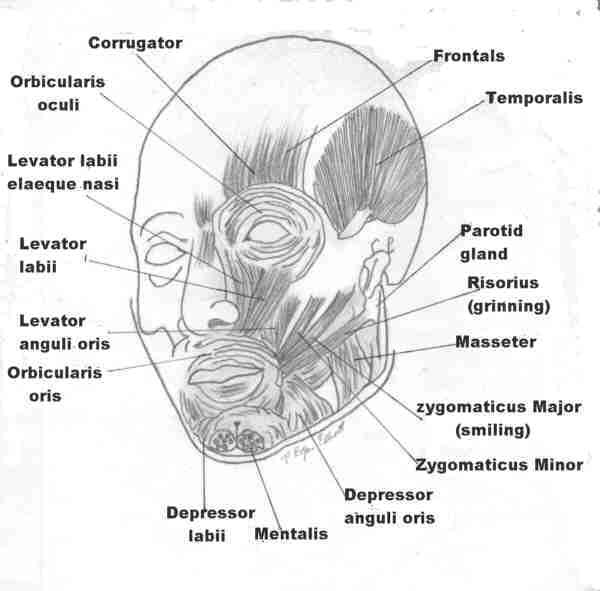 The ring-like band of muscle is innervated by zygomatic and frontal branches of the facial nerve. It is supplied with blood by the superficial temporal and facial arteries. The muscle helps the eye to close or blink. The palpebral part of the muscle aids in an involuntary closure of the eyelids, typically during sleep, unlike the orbital fiber. The structure works in unison with the skin of the forehead, temple, and cheek to close the eyelids, which is a common feature of photophobia, abnormal intolerance to light. While in action, the skin undergoes folding and radiates from the lateral angle of the eyelids. This particular condition becomes permanent when an individual grows older, resulting in the formation of wrinkles. The levator palpebrae superioris lifts the upper eyelid and exposes the front of the bulb of the eye. 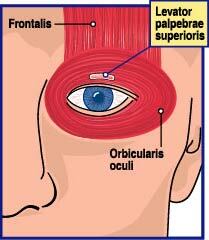 Contraction of the orbital portion, as well as a relaxed palpebral part, helps to decrease glare. It compresses the lacrimal gland and enables the flow of tears over the surface of the eye. The medial fibers project the puncta lacrimale into the Lacus lacrimale to drain the tears from the eye’s surface and move them through the lacrimal sac and duct. The muscle of Riolan of the lacrimal sac keeps the tear passage waterproof. Temporary dysfunction of the cranial nerve, called Bell’s palsy can cause inability to close or blink the eyes due to an impaired muscle. Lack of nutrient supply to the facial muscle increases the risk of corneal inflammation and ulcers.